Jonathan Soros, CEO of JS Capital Management and Senior Fellow of the Roosevelt Institute, joined us for an IDFC U discussion on "Campaign Finance Reform: What We Can Learn from the US Experience", in an off-the-record discussion on December 19th, 2014. Soros co-founded the Friends of Democracy Super PAC, which aims to reduce the influence of money in politics by supporting candidates who endorse campaign finance reform. Ironically, this institution employs a tool used by many to channel large donations to political parties in the United States, to structurally improve the system. In his talk, Soros drew on his vast experience in working in the area of campaign finance reform. The discussion considered that the competitiveness of an election can be improved most substantially by increasing access to the ballot. In this regard, campaign finance rules can have a corrupting influence if the system is such that candidates need to have private wealth, or to be networked with wealthy groups, in order to have a fair shot at winning. Studies in the United States were cited, supporting the theory that the legislature represents preferences of wealthier classes more. The group also considered systems such as that of New York City, wherein candidates receive a set sum of public funds for each dollar received in small donations, up to a set limit, for candidates choosing to participate in the public funding system. This helps candidates to compete without having to garner support of wealthy donors, and enables them to operate independently of large donor pressures when in office. To provide brief context on PACs in the United States, in 2010 a landmark judgment by the U.S. Supreme Court in Citizens United v. Federal Election Commission lifted spending and donation limits for independent expenditures-only committees (which were later termed Super PACs) as long as they did not directly contribute to candidates and parties for election campaigns. In the years following the judgment, Super PACs backed by corporations and the rich have risen to prominence and have come under criticism for the amount of money they spend, the power and influence they wield, and because of allegations surrounding subversion of disclosure rules. Watch the video below, as Soros shares his views on campaign finance reform. 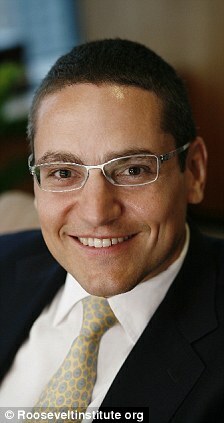 Mr. Jonathan Soros is the founder and chief executive officer of JS Capital Management LLC, a private investment firm. He was the President and Deputy Chairman of Soros Fund Management LLC. Mr. Soros serves as Co-Chairman of the Board at New America Foundation. He serves as Trustee of Soros Charitable Foundation and Central European University. He has earned a Master's in Public Policy from Harvard University, a Law degree and graduated from Wesleyan University in 1992.